In my quest to convey ideas and advice that make raising children both easier and more enjoyable, I rely on feedback. The questions, comments, and personal experiences parents and professionals share help me learn how to communicate respectful care practices more clearly and effectively. I’m guided by hearing what resonates, shifts perspective, and what helps people get unstuck or turn a corner. I recently had the pleasure of engaging in a teleconference with a dynamic group of parents, educators, and university students from South Carolina. One of the participants, Cat, wrote to me afterwards with a list of the points she found “especially freeing” in caring for her intensely emotional, strong-willed daughter. Thank you so much for your conference call with the parents and students yesterday. 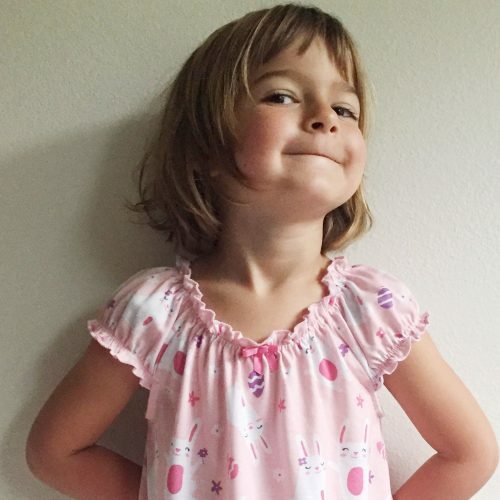 I am Cat, the mother of the five-year-old who asked the question about her strong moods and the need for empathy. I have often felt when reading parenting advice that the ideal Zen parent described is so far from who I am. But your humorous, compassionate, and clear approach in the conference call was very empowering for me. Today, when my daughter had her inevitable meltdowns on the way home from school, I was able to give her space to express that (without taking on the emotions myself). The result was a really happy kid once we got home; she seemed reassured that I wasn’t rattled by all her dramatics. 1) I don’t need to empathize, but merely acknowledge/accept. This is a difficult shift of perspective for a parent, but wonderfully freeing when it clicks. Children, particularly those with a strong will, tend to have overblown reactions to seemingly minor events, especially when they’re tired or experiencing any kind of stress. What’s important to keep in mind is that often their intense feelings aren’t actually about the event itself. Rather, the event serves as a catalyst that helps children release other stored feelings. Their reactions might not make a bit of sense to us, so it’s difficult to authentically empathize. That’s why I encourage parents to focus on simply accepting. Acceptance relieves us of the responsibility to do something about the feelings. Instead, we passively trust them and allow them to be cleared, normalizing this healthy process for ourselves and our children. 2) My daughter’s feelings are likely strong rather than deep (and usually connected to fatigue, hunger, stress, rather than to whatever topic she’s shouting about). When she mentioned her daughter’s “deep feelings” on our call, it sounded like Cat might be misreading these feelings as cause for major concern or action on her part — that her daughter had a serious problem she needed help with rather than normal, healthy venting that Cat could trust, allow, and accept. 3) I can and should set boundaries based on my needs/wants, which I articulate calmly and firmly to her. Yes! Parenting is a relationship between two people with equally important needs, though only one is the leader. With a healthier perception of her daughter’s emotional reactions as something to be welcomed rather than feared, there is no reason for Cat not to fully own her space in the relationship and stand up for herself. 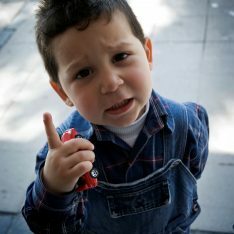 When setting boundaries with a strong-willed child, we can expect a lot of venting and backlash. It’s all good. 4) Consequences should ideally be logical ones, emerging from the situation. It’s amazing how freeing it is to not feel responsible for a child’s emotions and also to view her meltdowns as a positive sign about the security of her relationship with you. Yesterday, when she was melting down on the whole drive home, I was thinking, “She needs me to be her safe space,” instead of, “Oh, my God, what’s wrong with her? !” That cognitive shift makes it so much easier to be serene, even when it’s taxing. Nice one. Something I learned from my warrior grandson (now 6-years-old) is that he is much less willful when he is tired–physically tired. He is never willful after a long walk, or a vigorous play, or running through the livingroom a hundred times. Boundaries, yes. Calm insistence on our will and the legitimacy of the will of others, Yes. Also, remember that willfulness is good. We want them to have a will–the rest is challenging us to get better and better at handling conflict. Yes, really good points, Rick. Physical activity, particularly outdoors in nature, is a wonderful way to release stress. I needed to hear this tonight…for my strong-willed child! I would love to hear more examples of #4, as I feel stuck in that place. I try always to offer the positive: If you can do this, we’ll have time to do this…but then it seems like a bribe. I would also like to hear more about “defending” oneself when a wild 3 yo is having a physical lash-out moment. I am finding that my defense (putting my fingers out like a claw to keep him out of my space) results in more wild behavior. I am not coming after him with it (my hand is stationary), but using it to make a boundary clear. He “chooses” to continue to push into my body/boundary. And then I feel like I’ve abused the poor kid because my nails stabbed his face. Hi Janet – if it feels like a bribe to you, then it might be too calculated on your part. An honest consequence will come up for you more organically. 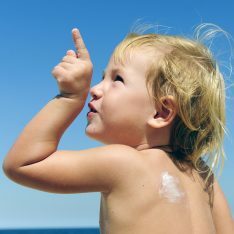 Oftentimes, the solution in the moment is not a consequence, but to calmly insist and help your child move forward with confident momentum (https://www.janetlansbury.com/2016/07/confident-momentum-how-to-stop-battling-your-toddlers-resistance-and-defiance/) or physically intervene to stop a behavior rather than just saying words. In the case of your son lashing out, I would be on this more confidently — calmly, but firmly holding his wrists if he’s trying to hit you, so that he can’t… blocking effectively rather than trying to scare him with “the claw” :). He’s demonstrating to you that he needs to know you can easily handle his outbursts. So make it look easy if you can. And it’s definitely not abusive to block and prevent him from attacking you. Hi! I enjoyed reading Cat’s ideas so much. I can completely relate as I, too, have an emotional, strong-willed child. He’s three and a half. Her first point of accepting/recognizing emotions instead of empathizing got me thinking about how I dealt with my boy’s meltdowns before. I told him “I can see you’re tired” to which I got an angry response, “I’m not tired!”. I’m thinking now that I shouldn’t be giving him an “analysis” of why I think he’s screaming but perhaps I should just say something like, “You sound very upset.” But then he might say, “I’m not upset!” What do you think, Janet? Apart from offering a hug, what is the respectful language to use to show acceptance? Thank you! I love reading your articles. That was such a great example of the thought process that Cat described – “she needs me to be her safe place, rather than what’s wrong with her?” I find myself sometimes thinking things like – what’s wrong, why is my son so anxious, what have I done wrong, why can’t he just have a more easygoing personality – and all the thoughts prevent acceptance and validation of his feelings and also make us feel less connected to each other. That must make him feel alone and less secure. Thank you so much for these insights. I’m going to try the inner dialogue that Cat suggested. Excellent self-reflection, Kate. You’ve got this! This resonates with me on such a deep level! Before reading your work I definitely was a parent who took on my child’s emotions and it was SO hard to not dissolve into tears at times from frustration. Now that he’s nearly 2 the consequences piece is resonating as well. I never understood taking away (or rewarding for that matter!) with food and reading about having consequences (good and bad) that relate to the situation just makes SO much sense! Thank you! My pleasure, Amy. Thank you for sharing your process. All these examples are so helpful to others struggling with these practices. Not taking the feelings on is a big one! Janet, I love your work and I really liked this post. Reading the comments from other moms made me think about a situation I have with my 4 yo. The issue is about letting the feelings flow and come out, I’ve been practicing that. When she had tried to hit me I hold her hands and tell her I won’t let her hurt me. But when she gets to highest of her upset she starts screaming like really loud. I can see she’s super upset and she’s trying to get it out her system. The thing is that it is also so hurtful to our ears! What can I offer her to let her get all this out of her system without hurting the rest of the family? When we’ve talked about this (after the storm has passed) I’ve told her she can scream to a pillow and we have rehearsed it but in the middle of the moment doesn’t’ seem to work. I wonder if offering some space alone in her bedroom to scream it out could be an option, but I don’t want to send the message of letting her alone with those big feelings. Thank you, Janet, for an amazing evening of conversation with our school community. It is still being talked about…we will plan for next year! This was a beautiful response that will be shared. Can we talk about the adjectives “strong-willed” and “willful”? What is the deal with these terms? I hear parents on the RIE facebook group and podcast (and in the article above) use these terms a lot. But you never hear anyone describe adults as “strong-willed”. Do these terms represent a parenting fad? Where did it come from? Was there ever a baby or toddler that was anything other than “strong-willed”? Is it really a distinct quality which only certain children posses such that it would be a useful descriptor? Also, what does it even mean—that the child has tantrums a lot or what? It’s a more intense temperament. I would love to hear you say more about this. Maybe I should say more about why I’m struggling with the term. It bothers me that sometimes parents seem to put an adjective, and a whole story line, on their child when it seems like the child might just be exhibiting developmentally normal behaviors. Especially when it’s gendered, like when a father says that his female toddler is “a total diva” or something like that. In those cases it feels like thinking of a child as being particularly “strong willed”, for example when they get upset about limits you’ve set, might not be seeing the child, but might just be a projection on their normal toddler behavior. And that weirds me out. I especially don’t like to think of the dynamic of the parent feeling that their child “has always been like X” and that influencing their later relationship. Anyway, that is why I question what seems like a recent trend of identifying certain children as having this quality “strong willed”. It sounds like the term has a negative connotation for you. It doesn’t at all for me. The toddler years are a strong-willed time of life for most children, for sure. But it can be helpful to parents to understand that there are children that tend to be even more resistant, defiant and emotional than the average toddler and that this is actually positive, healthy, perfectly normal behavior for those children. Children with a stronger will tend to need to vent more often and powerfully. To be comfortable in their “skin” they need to know they have strong leaders to protect, accept and understand them. Hmmm. I will think about this. Thanks for your reply. Do you have an article or any resources about how to stay calm and keep trucking being gentle and present when you yourself are overstimulated with seemingly “nothing left to give?” When my toddler refuses her nap that I so need by that time of day to recharge a bit? This article really helped me. I have been struggling with my daughter’s big emotions. Often after I have corrected her she will begin to cry and get very upset, it is almost a delayed reaction. Then she’ll begin to ask me to help her calm down, “I can’t stop crying” and hot her face, usually I hold her and hum or sing to help get her settled. I always ask her to sing with me or I hum a song she knows. I want to encourage her to calm herself. Even though we talk about how to deal with it differently the next time, practice taking deep breaths, we don’t she gets straight into a very rushed panicked feeling mode. it’s hard then for me to get out of the correction mode and into an empathetic mode….. I totally embarrassed myself with my enthusiasm toward this other mom who casually mentioned that her son is in such bad moods when she picks him up from pre-K.
K. She is an extremely reserved woman, I have learned, and I sent that turtle back into her shell! But, maybe she heard me or heard me mentioning Janet Lansbury, or just heard, Don’t worry, it’s all cool. Anyway, I didn’t flip or rush or worry that my daughter was taking each stair on her toosh with a scowl on her face. The meltdowns have ended, since I haven’t reacted to them. I would be a mess, no lie, had I not learned here that the bottled energy needed to get out with a safe person. I have learned to pay extremely close attention to her energy to see if she is too hyped up, even just the littlest bit, because it always means something happened at school that she will eventually need to talk about. I actually am relieved when she needs a boundary so she can wail again and we can work it out before bedtime, or by bedtime, but not at lights out … that’s my parenting study time, or I am just exhausted and want to vedge. Hi Robert – Thank you for asking. My advice is based on psychology, child development, scientific research and extensive observational studies. I am a Christian as well.